The University of Michigan landed a prized recruit this week. Jim Harbaugh and the Wolverines were honored to have Larry Prout Jr. commit to Ann Arbor. Prout, 15, would have had it no other way. Larry Prout Jr. is not your ordinary 15-year-old. He has battled physical ailments since birth and has had 90 surgeries. That is one tough Wolverine. 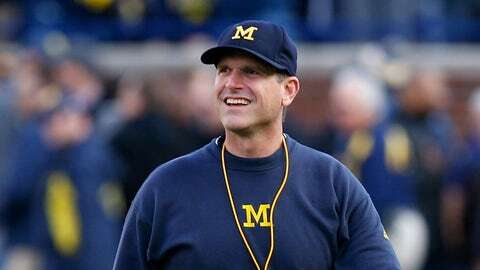 “Our team just got bigger,” Harbaugh said. The connection between Michigan and Prout came during his many hospital stays. Every Thursday Prout had to spend in the hospital — and there have been many of them — Wolverine players came to visit. A bond was formed and this week it was completed. Team Impact, a non-profit outfit that aims to attach chronically sick kids with college teams around the country, played a huge role.